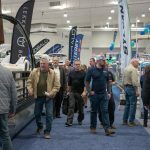 ESSEX, CT – JANUARY 30, 2019 – Celebrating its 50th anniversary producing The Hartford Boat Show (HBS50), and its new location at Mohegan Sun, The Connecticut Marine Trades Association (CMTA) welcomed record crowds its opening day, Thursday, January 17. 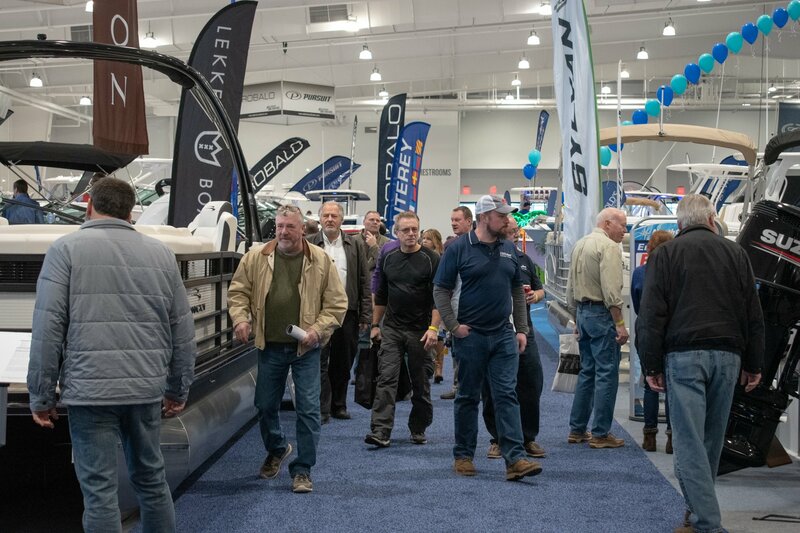 HBS50 led the busy winter boat season this year as the first in the North East, and ran January 17-20 at Mohegan Sun’s new Earth Expo Center. 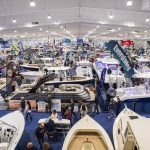 Citing that that overall attendance at HBS50 was up 10% over the 2018 show, CMTA Executive Director Kathleen Burns said that “the combination of our earlier dates leading the boat show season, our new location, the 50th anniversary and last year’s reduction in state sales tax on boats, motors and trailers all really combined to make HBS50 an outstanding experience for both exhibitors and visitors.” HBS50 dealers reported brisk sales, and overall optimism and energy among boaters. Each of show’s first days actually recorded double digit percentage jumps over 2018, with Winter Storm Harper hindering travel for some on Sunday, January 20. All was festive, as Chairman of the Mohegan Tribe, Kevin Brown “Red Eagle” joined CMTA Chairman Ron Helbig of Noank Village Boatyard, Brian Luby of Beacon Point Marine and Boat Show Committee Chairman, CMTA Board Members, boat show sponsors Evinrude/BRP, CT Port Authority and Helly Hansen, and Mohegan Sun Executives for the ribbon cutting. 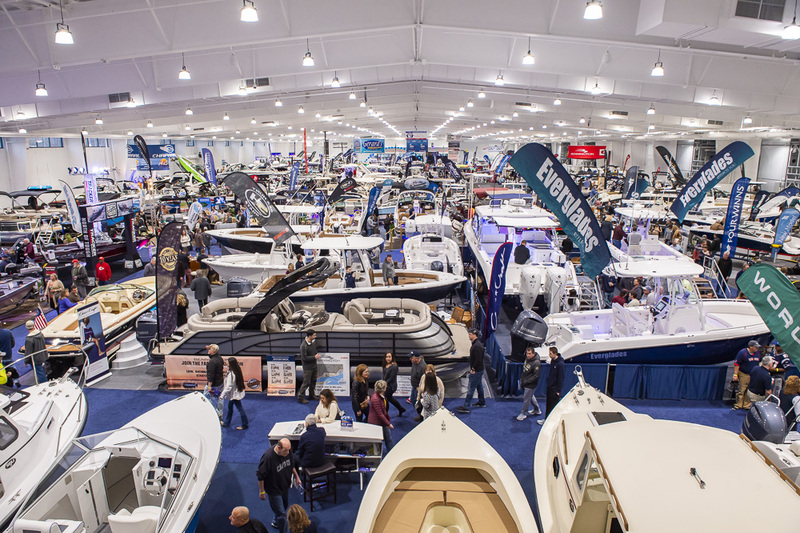 A proclamation from Governor Ned Lamont celebrating the 50th Anniversary of the Hartford Boat Show and all the work CMTA has done for recreational boating in Connecticut was read. 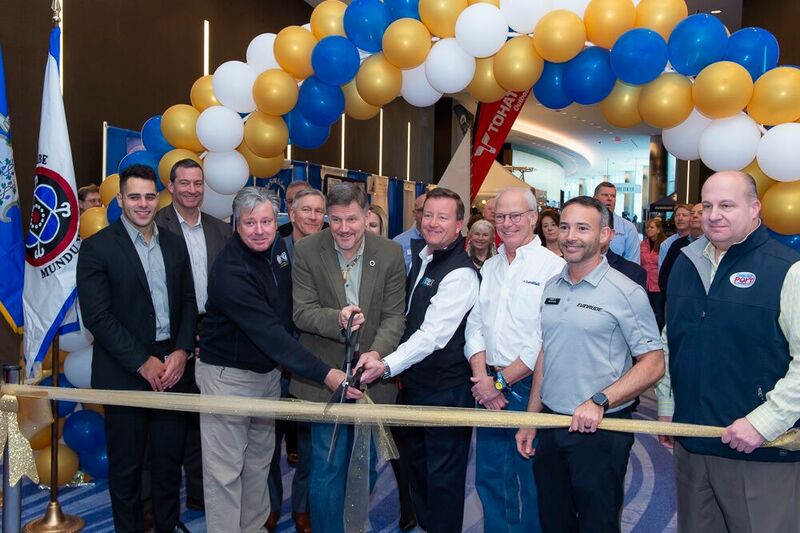 Record breaking crowds attended the first day of HBS50 at Mohegan Sun, January 17, with opening day attendance up 70% over the 2018 show. 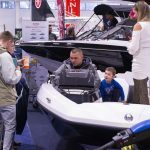 Visitors came to view the over 400 water craft on display, taking advantage of the educational sessions, boat safety courses, enjoying the show’s new location, longer show hours, and taking in all that Boating Under the Sun has to offer recreational boaters in Connecticut. 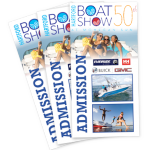 HBS50 exhibitor list reflected every element of recreational boating in the state, for those enjoying Connecticut’s waterways from the sound to the lake and rivers, as well as experienced navigators, to new boaters. 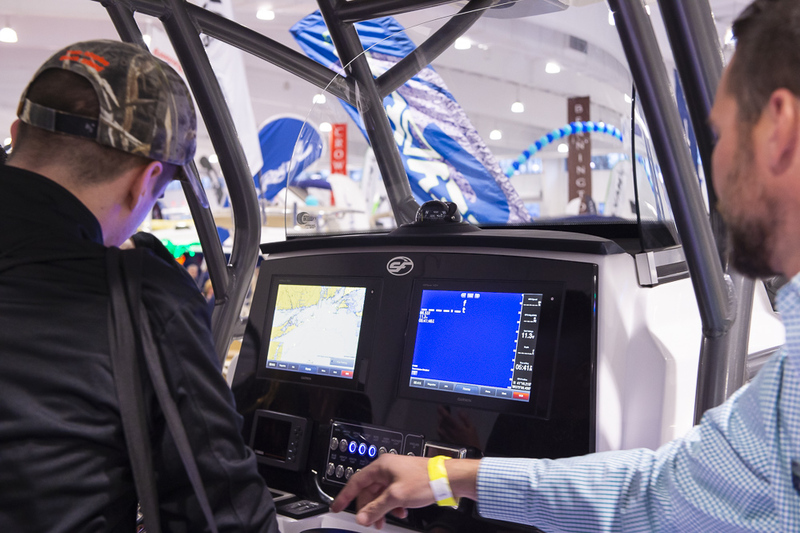 HBS50 visitors perused boats, jet skis, personal watercraft, paddle sports, kayaks, marinas, motors, slip rentals, servicing, fishing gear, educational programs and materials, insurance, trailers, electronics, sanitation, air conditioning, attire, nautical home décor, decking, dock building, winter storage, financing, an shore side activities such as destinations and attractions. 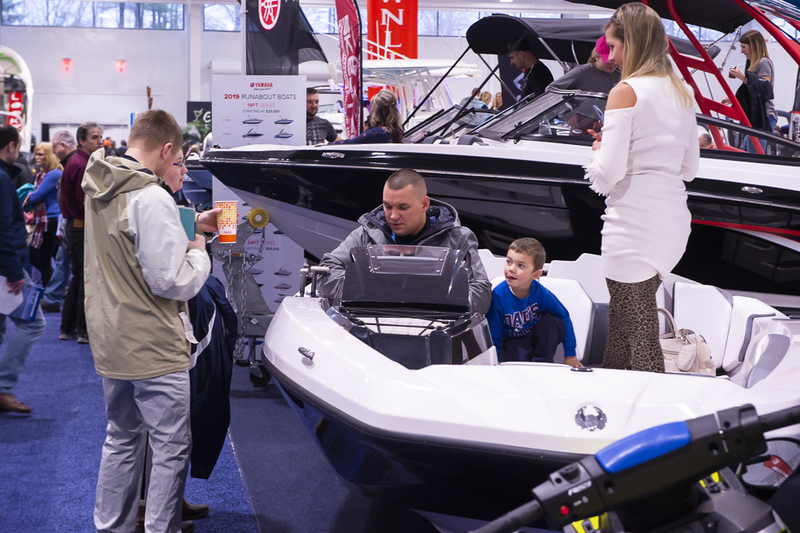 Commemorating 50 years of CMTA’s involvement with the Hartford Boat Show, a Golden Celebration was held for members and exhibitors the evening before the show’s opening. 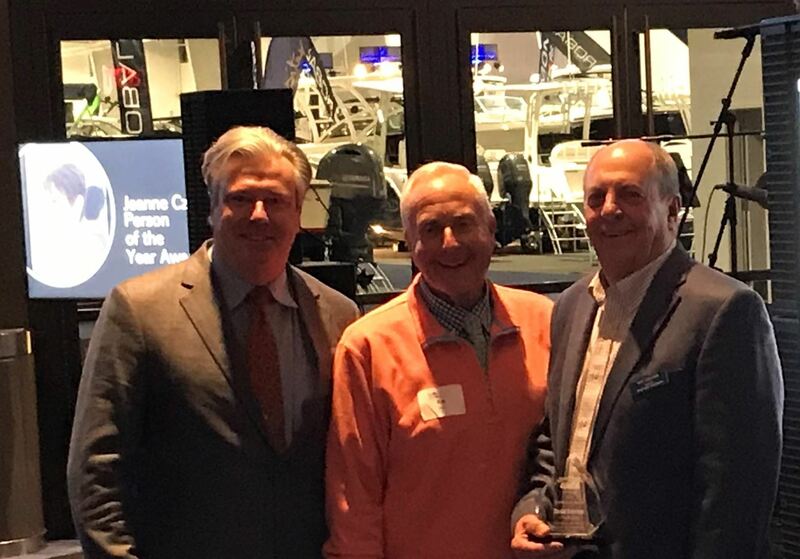 At that celebration, David Crocker of Crocker’s Boatyard was presented the CMTA’s highest honor, the Jeanne Czel Person of the year award. Crocker has decade’s worth of service to the show, the association and his community. 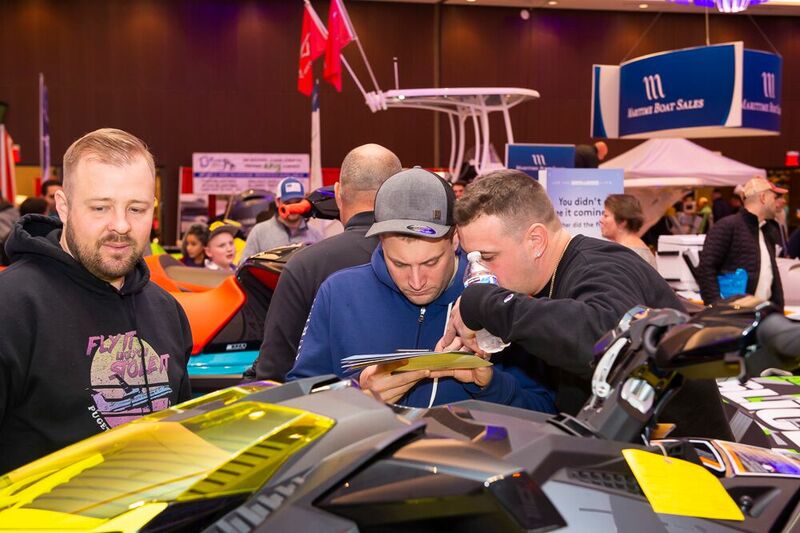 He has chaired the CMTA Boat Show Committee, worked logistics for the show for years, participated on nearly every CMTA committee through the years, is the current Treasurer of CMTA and sits on the newly formed CMTA Foundation Board. Crocker is the New London and Waterford Harbormaster and is also active in several community based organizations and events. 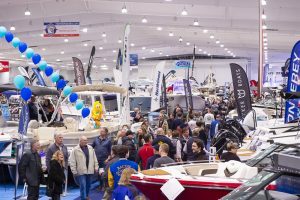 Also at the celebration, three exhibitors received “50 Years Strong” awards celebrating their 50th appearance in the Hartford Boat Show beginning in 1970: Petzold’s Marine Center of Portland, Capital Equipment in Manchester and Boat’s Inc. from Niantic. 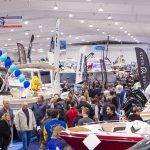 “Despite Sunday’s weather forecast, we found that visitors enjoyed the show’s new location all weekend long. People knew that they could come and make a weekend out of it, enjoy Mohegan Sun’s restaurants, free parking, great accommodations, and even take a long weekend due to the Monday holiday. Many took the opportunity, which gave them the time to think about what they saw, and come back to the show to purchase,” Burns reported. 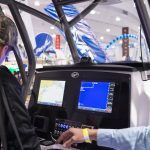 First Place Best Boat Display – Boat’s Inc. 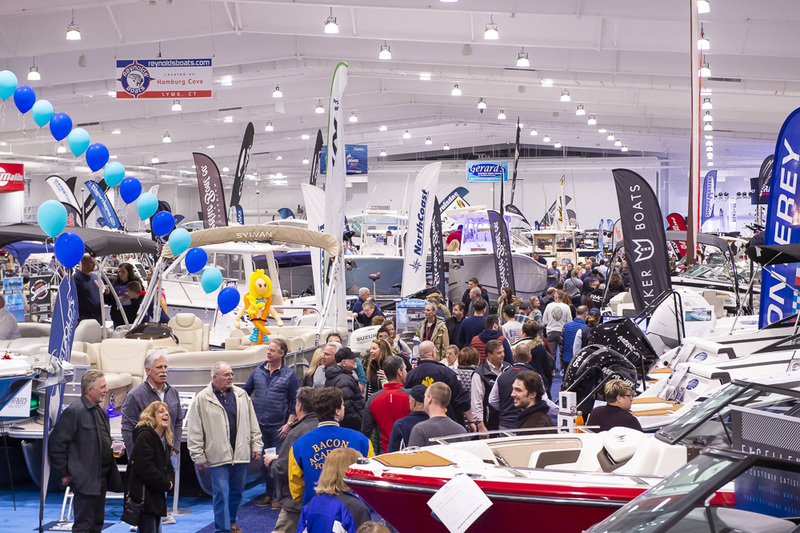 In 2020, The CMTA’s Hartford Boat Show will return to Mohegan Sun, January 16-19, 2020, once again being the first show to lead the North East’s winter boat show season.